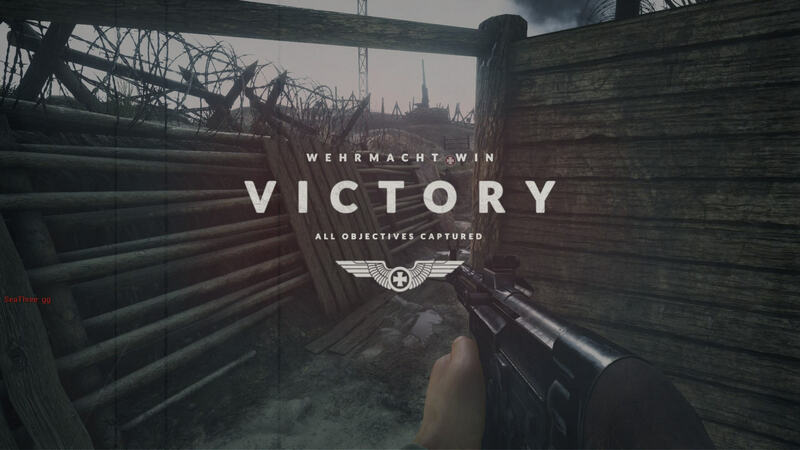 Gamers who played the excellent Day of Defeat will feel right at home here, as Days of War feels like a faster and prettier version of Valve‘s seminal WW2 shooter. The current Early Access build features nine different classes, ranging from assault troopers, to snipers, machine-gunners, and even rocket launcher wielding maniacs. Some classes feel a bit pointless (there are three different rifleman classes for instance, with little difference in the way they can be played) but for the most part, they do a great job at providing variety and functionality ingame. As we said before, Days of War doesn’t feature any kind of progression system, so all the classes are unlocked from the get go, a welcome breath of fresh air in an age in which multiplayer shooters force players to grind endless levels in order to be able to play with all the available toys. The gunplay mechanics are quite solid, and the guns not only feel great, but they also sound powerful. Shooting a submachinegun without stopping will probably lead to shameful looks, as the recoil seems quite realistic, forcing us to adopt a more thoughtful approach before unloading our guns’ magazines. Machinegun classes must go prone or find adequate cover before firing their main weapon, or their aim will rapidly deteriorate, as it should happen with fast firing LMGs (something that was also done the same way in Day of Defeat) Aside from the usual death dealing tools, some classes carry smoke grenades which can be used to cover their teammates’ advance on a particularly well defended area or chokepoint. Hit feedback is done through sound cues, without resorting to the hit markers popularized by the Call of Duty series. I personally think that a bit more effort could go in this direction, as right now it’s a bit hard to tell if the enemy has been downed or not (without looking at the killfeed) but I think that the developers are on the right track with the lack of hit markers. Map design is top notch, with thoughtfully designed chokepoints dominating strategic spots, and tall structures acting as both cover and points of interest that help navigate the busy streets of ruined French towns, or the barbed wire laden beaches of Normandy. The current Early Access build features battles that can take up to 32 players per map, and I didn’t experience any issues playing on both full servers and others with less players on them. 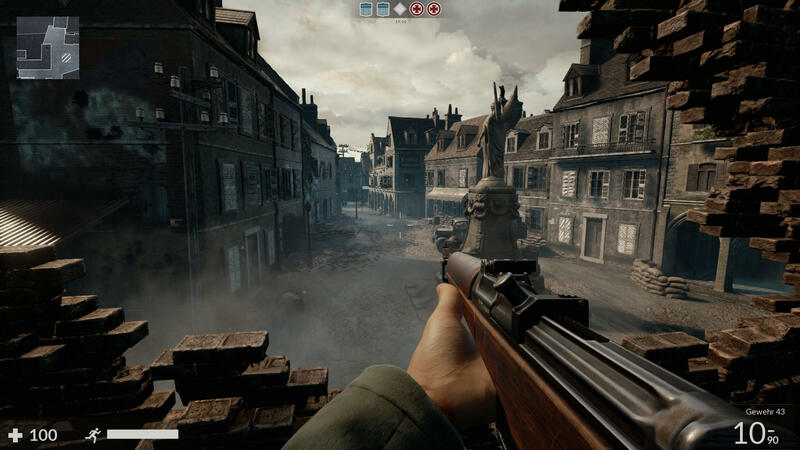 An upcoming feature will see player counts rise to a hundred per battle, but I’m hoping that new maps will be introduced for that mode, as the current ones will probably feel a bit claustrophobic with that many soldiers battling for their lives. Thanks to its Unreal Engine 4 roots, Days of War looks absolutely stunning and performs reasonably well on my mid-range setup. I had no problems maintaining a steady 60 frames per second on an i5 3570k, paired with 16GB RAM and a GTX 1070, but when I swapped GPU to my older GTX 970 things started to go downhill and I had to turn down texture quality, as well as some postprocessing effects. Luckily that did the trick, so this isn’t another Ark: Survival Evolved case where UE4 has been used to its limits and the game won’t run at a steady framerate no matter the hardware or settings being used. Although my impressions so far are more than optimistic, there are a few issues that must be resolved before Days of War can stand toe to toe with the classics of the genre. 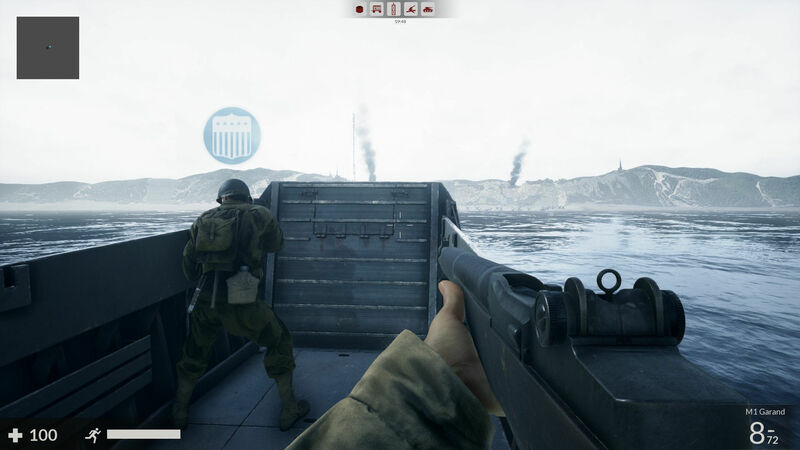 The spawn system is a bit iffy, and gamers playing for the US side on the Omaha beach map can be spawn killed by their opponents (looks like there isn’t any sort of spawn protection going on) I’m not sure if this is intentional or not, as it could be a way of simulating the hectic atmosphere of the beach landing in Saving Private Ryan for instance, but it’s not a fun gameplay mechanic and can lead to many frustrating moments. Servers can also suffer from connection problems, and right now there aren’t any South American servers, so gamers from that region should play on US servers (with 200ms+) or wait until the developers or a kind community member sets up a dedicated server for them. Aside from these two big issues, some minor details stand out, such as the German voices having a distinct American accent (that can be quite confusing when playing objective modes) or the fact that some loadouts feel a bit pointless when compared to others. Overall, Days of War feels like a worthy contender for the WW2 multiplayer FPS crown. Driven Arts‘ debut title fills a spot that has been empty for far too long, and if the developers can implement the features outlined in their roadmap while the community is still alive and kicking, they may have the next big shooter on their hands.